Concordia University – Portland turned to the IR when they wanted to showcase growth, community engagement, and congruence with their university’s branding. 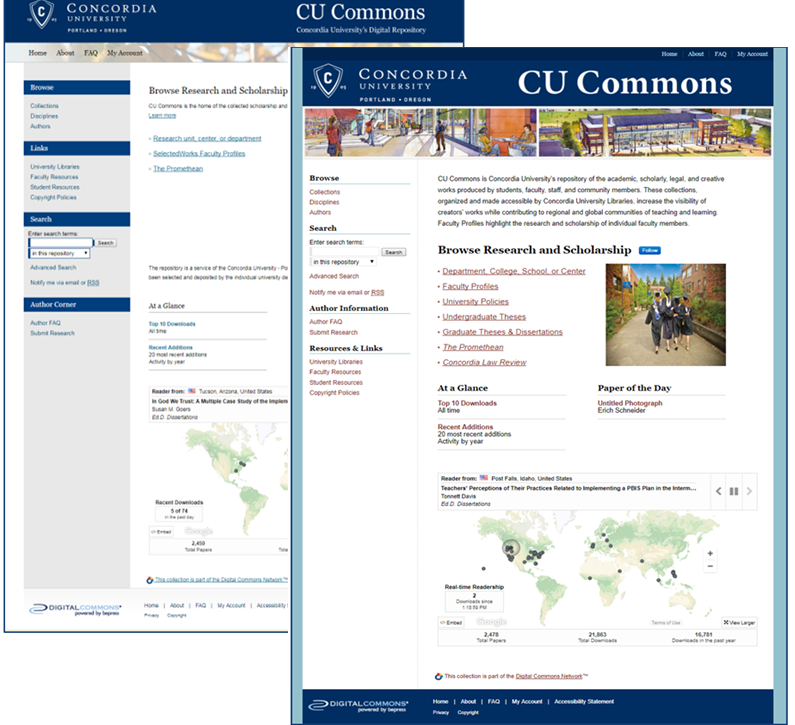 Like Western University, who trumpeted their ability to satisfy funding mandates through a new IR design, Concordia IR’s recent redesign highlights its strengths. You can redesign your IR for free every year in addition to free redesigns of journals, conferences, and more. To put a shiny new design in place, simply contact your bepress Consultant or support@dc.bepress.com.